WESTFORD, MA — November 1, 2016 – Tyco Security Products has announced that Kiwanis Village Lodge, a care facility for seniors in Nanaimo, B.C., has selected a new IP-based access control system from Kantech that features one-button door controller enrollment and the ability to leverage the facility’s existing infrastructure to ensure continuity of services to the lodge’s residents. With help from local systems integration firm, Securco Services, Inc., Kiwanis Village Lodge chose Kantech’s KT-1 Ethernet-ready door controllers for their ease of use, cost-efficiency and ability to be integrated with the facility’s existing access control infrastructure, including wiring, access card readers and card reader racks. 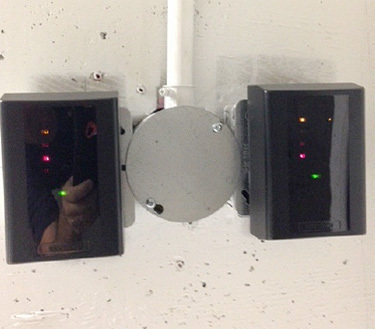 The one-button enrollment feature of the lodge’s KT-1 door controllers kept installation time down, resulting in minimal impact to facility operations. Kiwanis Village Lodge chose intuitive and user-friendly Kantech EntraPass Security Software to manage the new access control system. The lodge’s staff uses EntraPass to control access to all doors from their workstations and employs the software’s live view feature to monitor the doors’ functionality and to get status updates. The scalability of EntraPass gives the lodge the freedom to extend the reach of its new Kantech system to include other buildings in the future, as the needs of residents change. 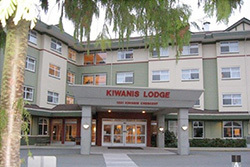 Kiwanis Village Lodge is a four-story complex care facility within Kiwanis Village, a six acre campus catering to seniors requiring various levels of support and accommodation, offering independent living, supportive living, assisted living and complex care to its residents. Kiwanis Village is working with system integrator Securco Services, Inc. to add additional door controllers and to extend EntraPass to include other buildings in the community.